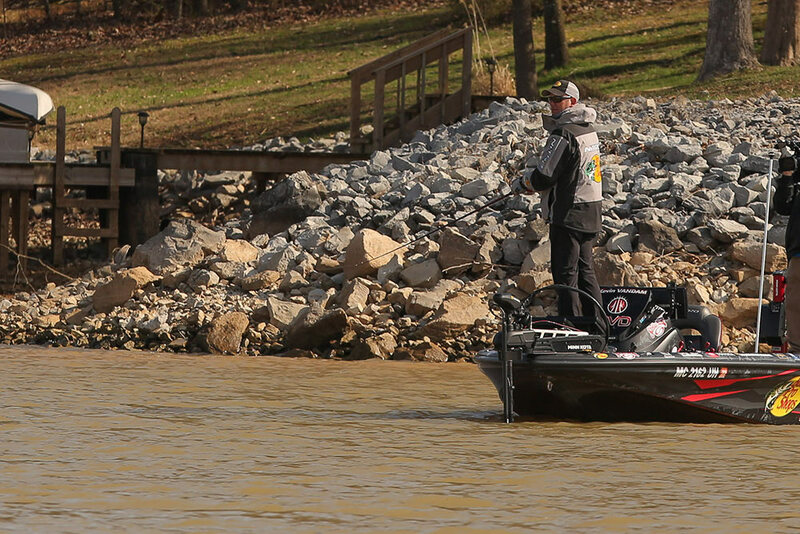 Local knowledge helped homegrown favorite Brandon Lester handle a fickle Tennessee River. When the going gets tough, the tough… go with what works. 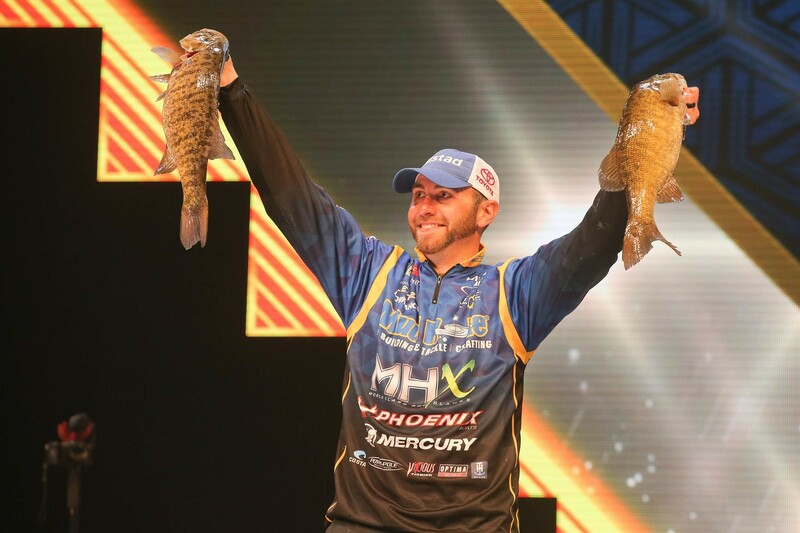 Mustad pro Brandon Lester put that modified cliche into action during the Bassmaster Classic’s third day and mounted a huge final-round comeback to finish sixth on his Tennessee River home waters. With tournament waters flustered by the cold, muddy influences of an extremely wet winter, fishing was generally considered tough; as evidenced by a day-1 limit of 9 pounds, 11 ounces that put the Fayetteville, Tennessee angler in 22nd place. He’d gain a notch on day two, with a 12-pound bag that moved him into 21st. Just inside the cut for day 3’s top-25 competition, Lester knew it was time to play for all the marbles. Easier said than done, given the tougher post-frontal conditions hampering the final round. Nevertheless, growing up about three hours west of the event’s Knoxville host, Lester knew just how to handle a moody Tennessee River. As Lester explained, he spent the Classic’s first two days prospecting in shallow pockets. With the event mostly hitting the prespawn period and a few fish poking around the bedding areas, he tried to make that work as long as he could. By “worked out,” Lester means a limit of 18-10 — second only to Classic winner Ott DeFoe’s 18-14 — that propelled him 15 spots up the standings to finish with a tournament total of 40-5. Lester said he focused on bluffs because this scenario finds deeper water swinging closest to the river’s rocky shoreline. Such is the making of a classic prespawn staging area, but Lester kept watch for particularly attractive vignettes. Water clarity also impacted fish positioning, Lester said. Generally, stained to dirty water shrinks the strike zone because bass can’t see as far. Often, this time of year, the fish will compensate by pushing as close to the water’s edge as they feel comfortable doing. This brings them into closer proximity with prey and allows more strategic ambush opportunities. “All of the fish were pretty shallow,” Lester said. “My boat was sitting in 20-25 feet of water — we’re talking pretty steep bluffs. But most all of my bites came from 2-3 feet deep. The water was dirty enough that they wanted to be shallow." Anytime you could find a bluff close to a little shoreline transition, that was always better. In the days preceding the Classic, the Tennessee Valley Authority had been pulling a lot of water through the Fort Loudoun Dam, which creates its namesake lake. (Loudoun and neighboring Tellico Lake comprised a large chunk of the Classic waters.) 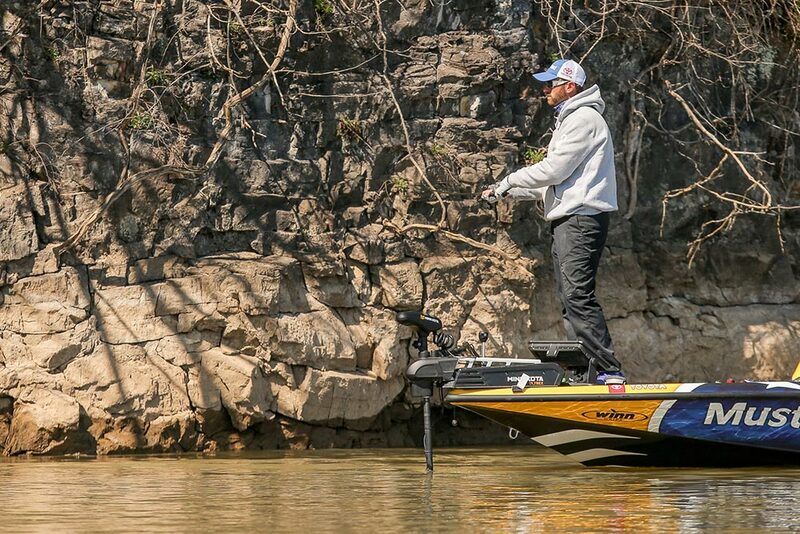 When the TVA slowed the release schedule, tournament waters started rising. “Honestly, I think that was a bad thing,” Lester said. “I had a good practice when the bottom was sucked out of this river. When it was low, the fish were shallow back in those drains and pockets. But when the water started coming up, I think it scattered them a little bit." After throwing a bladed jig and a crankbait (modified with No. 6 Mustad KVD Elite Triple Grip treble hooks), Lester caught most of his final-round fish on a 3/8-ounce brown hand-tied flipping jig built with a 4/0 Mustad flipping hook. He added a green pumpkin X-Zone Lures Muscle Back Craw trailer, but the key element was a living rubber skirt. Also important was Lester’s cosmetic enhancement. Confident in his bait choice, Lester focused on slow, methodical presentations. The jig is a big-fish bait, but this time of year requires patience, persistence and the right perspective. 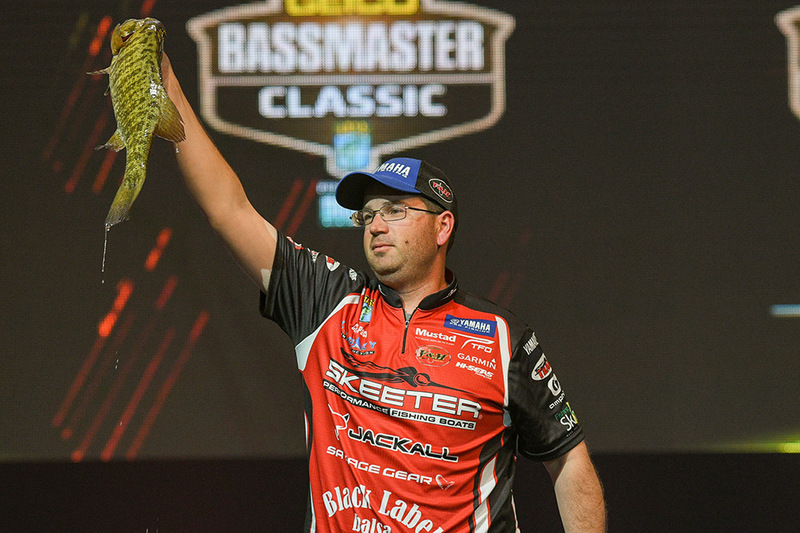 Joining Lester on the final day of competition were four-time Classic winner Kevin VanDam (2001, 2005, 2010, 2011), who placed 20th with 30-1; and 2013 Classic winner Cliff Pace, who took 25th place with 23-11. Four-time Classic winner Kevin VanDam placed 20th with 30-1, while Cliff Pace took 25th place with 23-11. Photos courtesy of Seigo Saito and Andy Crawford.